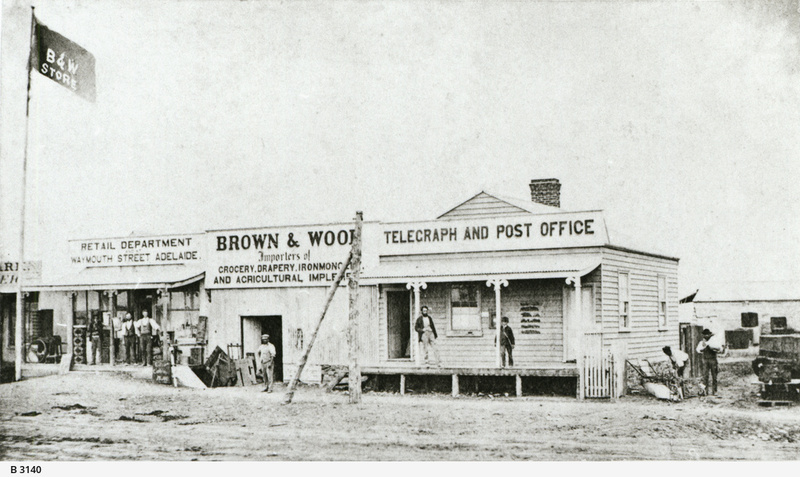 [General description] Telegraph and Post Office in Ellen Street at Port Pirie. The wooden building has a raised front verandah. Next to the Post Office is Brown and Wood Importers of Grocery, drapery, ironmongery and agricultural implements. This is a branch of a retail department store from Waymouth Street in Adelaide. The footpath and road look muddy. [On back of photograph] no information given.